2019 Spring Baseball Volunteer registration CLICK HERE for on-line registration. A paper registration is available upon request at utchallengersports@gmail.com. Thank you for your support. Here is your opportunity to earn valuable community service credit. It’s close to home. It’s flexible. It’s for a great cause. And NO EXPERIENCE IS NECESSARY. with our athletes. 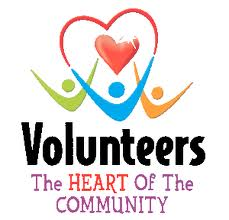 The volunteer buddies will help guide the athletes on the field by offering encouragement and support if needed. Volunteers should be from 8th grade and up. The UT Challenger Sports Program is a co-ed recreation program that enables children and young adults with intellectual and/or developmental disabilities to enjoy the benefits of team sports participation in an adapted environment structured to fit their abilities. Games will be played on Sundays: April 7, 14 / May 5, 12, 19 / June 2 from 1pm - 2pm . Please arrive 12:30pm to sign in and be teamed up with your athlete. Dates and times may vary if needed. These sessions will be broken down into two parts. The first part will have our athletes participating in fun-filled, skill-building activities and the second half will be the adapted game.